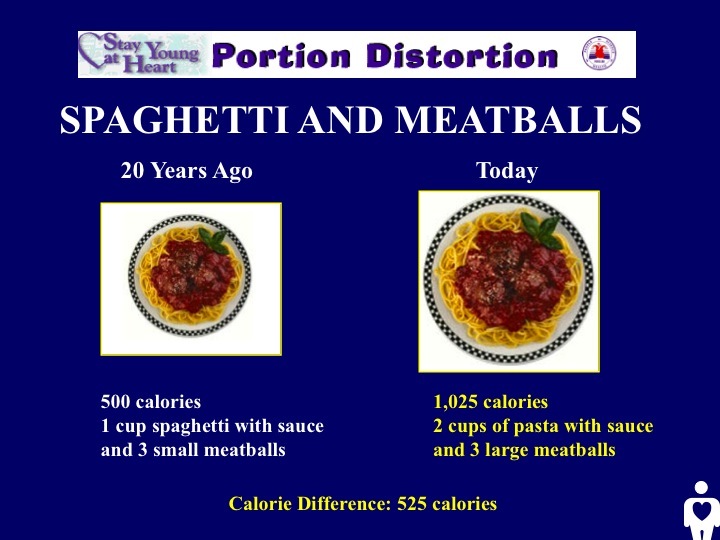 Here are a few examples from the Centers For Disease Control (click here to check it out): As you can see from this picture, if you have been used to eating a bagel for breakfast every morning, you are getting an additional 210 calories per day that you weren’t getting 20 years ago. This could lead to an additional 20 pounds per year gained! All from a bagel and not being aware of the calories you are consuming. To burn those extra calories you’d have to do yard work for almost an hour. The difference from this common dining out offender is enough to add more than a few inches to the waistline. You’d have to run on a treadmill at 5 mph for over 45 minutes to make up for that difference. And that’s not including the all-you-can-eat salad and breadsticks!! You won’t just be supersizing your meal, you’ll be supersizing your waist. You’d have to take a walk for almost two hours to make up the difference from just the fries, not to mention the supersized soft drink. 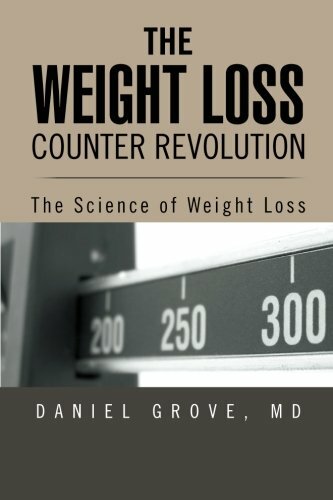 In The Weight Loss Counter Revolution book (which can be purchased on line by clicking here) I describe and bring evidence from scientific studies that have proven how inaccurate we are at estimating our caloric intake. 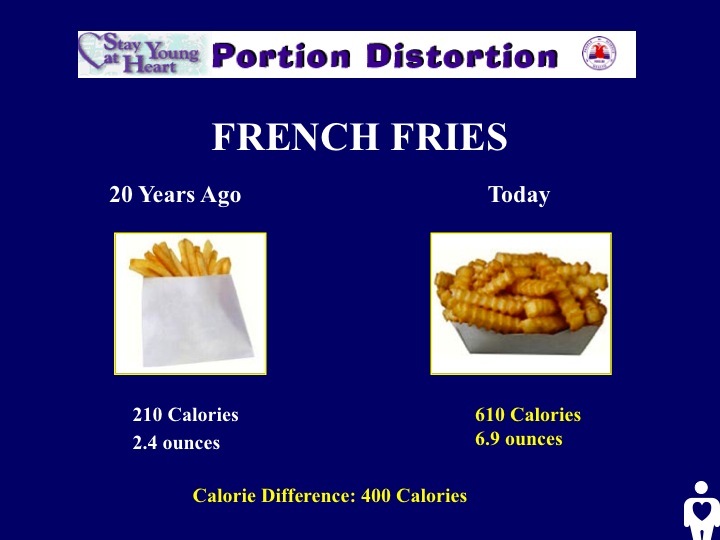 These differences can easily explain the root cause of the obesity epidemic. ← CLEANSE YOURSELF OF DEADLY TOXINS!